What an amazing story Reema Goode has to tell. Many stories actually. And while the actual names of people and places were changed for the safety of all those involved, it by no means took away from the truth of how God is changing lives in the Arabian Peninsula. 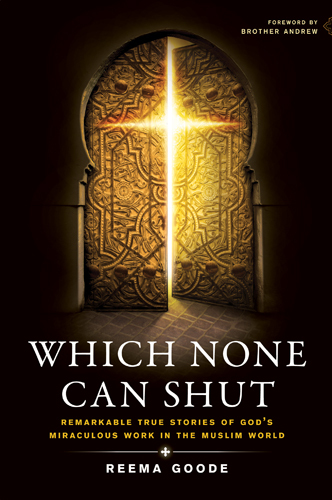 With so much attention on Muslims in the news today, and negative at that, "Which None Can Shut" sheds some much needed light and truth. This was not a book of facts. It is a book that brings personality to the Muslim people themselves. It tells of their daily lives and makes them 'real'. Reminds us that they are human, people, just like us... only with different beliefs. God loves them and wants them to be saved as well as you and I. I was amazed page after page at what God is doing through Reema and her family. Not only that, but I feel I have a greater understanding of the Muslim community and their beliefs. Reema did an amazing job of portraying the views of the Muslim people. They truly are an unreached people group. I could never imagine not having the freedom to choose my own religion, my own beliefs, and be restricted from hearing the truth of God's word. Thank God for missionaries like Reema and her family who are willing to go and bring Jesus to these places where many of us would be afraid to go. They are truly called by God... it is by His grace that they can do what they do. 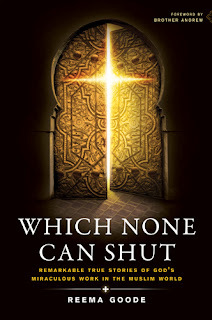 Which None Can Shut was very well written. I read it in just a couple of hours... didn't want to put it down. I'm so glad I choose to review this book. It really blessed me. I highly recommend it. I like reading about that part of the world.